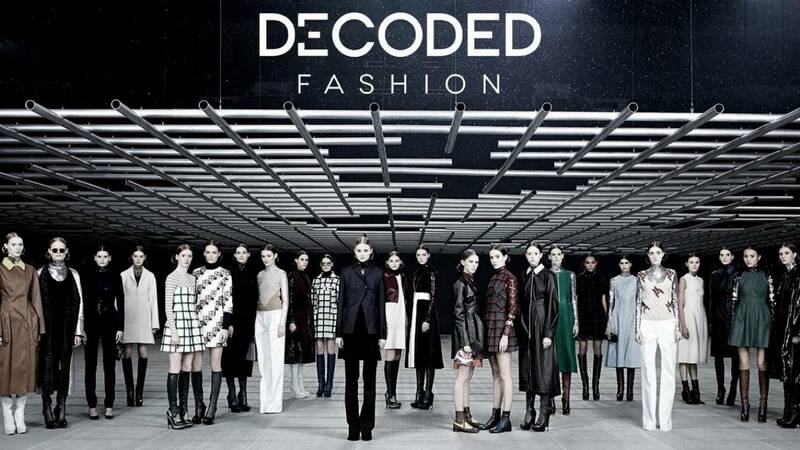 Decoded Fashion is London’s annual conference that brings together executives from all sectors of the fashion industry. This year’s event, titled ‘Inside Out: Creating True Alignment’, explored the relationship between technology and fashion, with an impressive lineup of speakers. Living it reports on some of the key trends for the future. Time to wear those shades for this sunny day! ? Setting the pace for innovation at the conference was a company called Sewbo. It’s reported to be the first company to manufacture an item of clothing without human labour, creating a t-shirt entirely made by machines. What does this mean for the future? As the technology improves and becomes more accessible, mass market garments could begin to be manufactured in this way, ensuring that every garment is perfect down to the very last stitch. Although Sewbo acknowledged the negative implications for employment around the world, founder Jonathan Zornow said the innovation would lead to an end to the industry obsessing over cheap labour. In a talk by Mastercard, new methods of payment were discussed. Despite the relatively small initial uptake of Apple Pay, Mastercard is confident it represents the future. Wearable methods of payment have already been tested, with designer Adam Selman partnering with Mastercard to put a credit card chip in a dress. Rachel Bale, Mastercard VP, Global Merchant Development, also hinted that biometrics will replace security passwords for online shopping and internet banking. But the process must be design-led, and not too technical, she said. In a conversation between executives from Amazon Fashion , Google and AllSaints, one point became clear: brands need to adapt to stay popular. “Speed is tantamount to stay ahead of the curve,” said Amazon, which has begun testing an online tool to help shoppers buy clothes that more accurately fit them. Retailer AllSaints has tried to adapt in a different way – by emphasising the need to be culturally aware of the countries where its stores are located. The company believes that brands need to be able to connect with local communities worldwide, offering relevant experiences for all cultures. However they do it, the end game remains the same – adapt for the benefit of the shopper, or lose the client. Our first panel starts off with piastanchina amazonfashion google allsaints ? Matthew Woolsey, managing director of luxury e-commerce site Net-a-Porter, told the conference: “The move to mobile is taking us to a post-store world.” How brands interact with luxury consumers is changing. The EIPs (Extremely Important People) who shop at Net-a-Porter make up just 2% of clients, but 40% of revenue. They need an extra-special level of customer service. Sales associates of Net-a-Porter will often contact EIPs over Whatsapp or WeChat to inform them in advance which new products will be launching on the website. Some of the fastest transactions reported by Net-a-Porter have been through this kind of ultra-special service – last week, a £65,000 watch was sold in this way.